(Bournemouth and Boscombe Athletic to 1971/72, AFC Bournemouth thereafter). * Newly elected to the Football League, in season 1923/24 Bournemouth withdrew from the FA Cup rather than play through the preliminary rounds of the competition. They had been drawn away to Portsea Gas Company in the preliminary round and would have had to successfully negotiate 7 qualifying rounds before having the chance to play in the First Round proper. 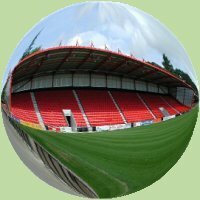 ** Bournemouth had 10 points deducted in 2007/08 for entering administration and in 2008/09 17 points were deducted for breach of Football League insolvency rules. More details - Points deductions.